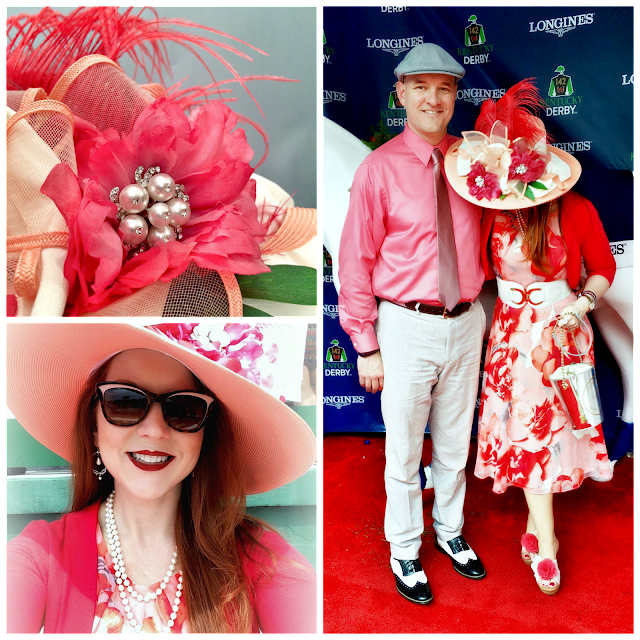 This year was the second time I've worn this hat to Churchill Downs (albeit the first time with a different dress). I've worn it to other events, too. I like it. I really do. And this dress. I really like this dress. I knew the moment I tried it on months and months ago that it was a Derby dress contender.... So why was I less than excited when I pulled it all together on the first Saturday in May? 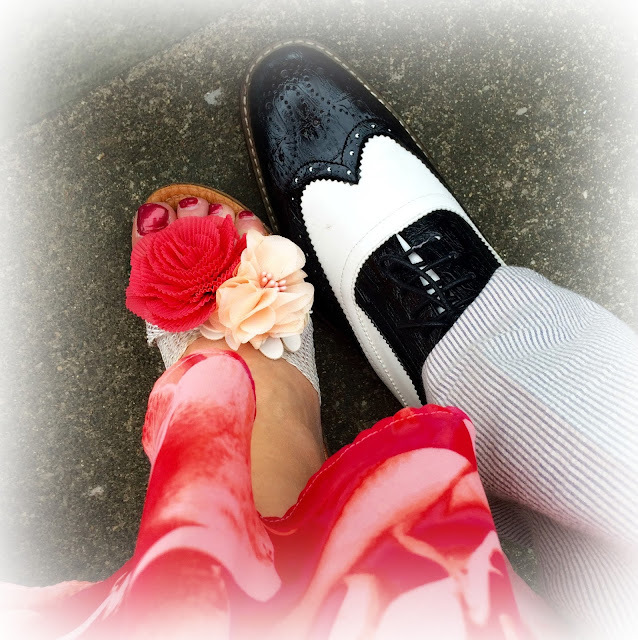 I added floral clips to a pair of super comfortable platform sandals to match the dress - Derby day always means A LOT of walking, so stilettos are out. For men, seersucker and spectators are de rigueur. 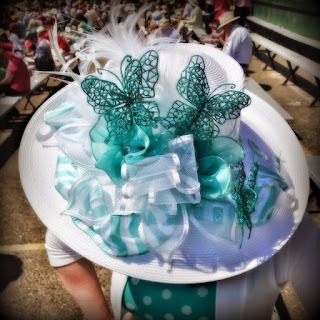 It was because it just didn't compare to the ensemble I'd sported one day earlier for the Kentucky Oaks, with its spectacular and sparkling skyscraper chapeau. It seems odd to say that the riot of coral; peach; feathers; flowers; and pearls felt kind of, well..., pedestrian. But there you have it. As I admired all of the pageantry that epitomizes the Kentucky Derby, taking in the myriad looks on parade with varying levels of appreciation, I wondered whether I was becoming jaded about a weekend I look forward to with eager anticipation every year. 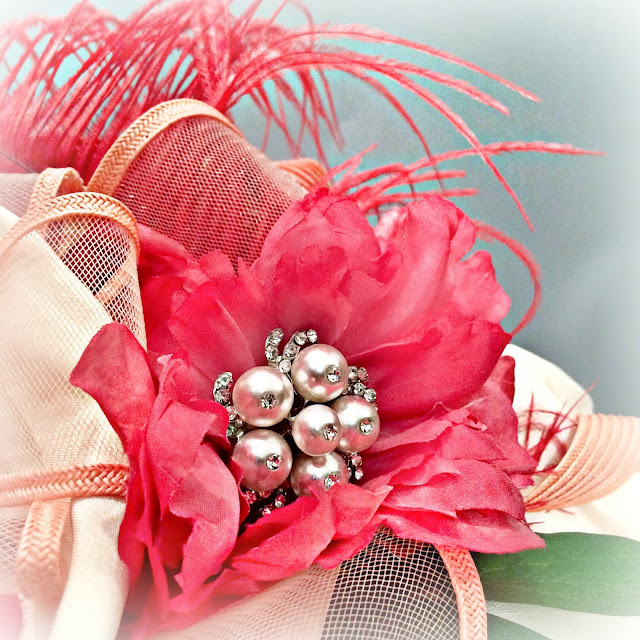 The delight is in the details - the crystal and pearl embellishments are my favorite aspect of this particular hat. But you know what? I'm not. 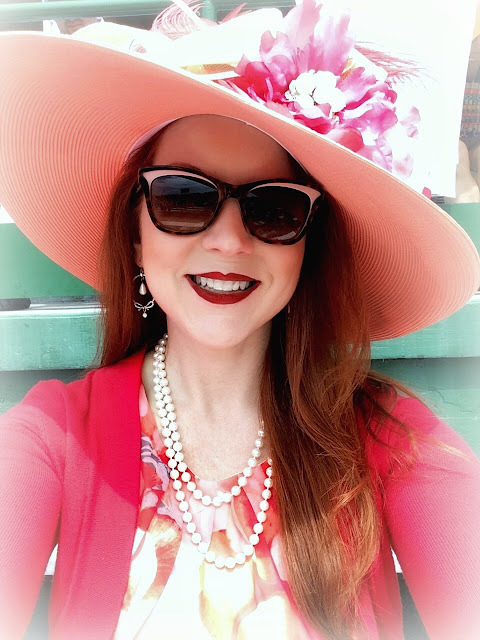 The Kentucky Oaks and Kentucky Derby are still two of my favorite days of the year, and I have enjoyed every one I've attended (even the years it rained). You know what else? I'm already thinking about next year!